These water-repellent grand piano covers are made with a heavy duty close-weave material, padded with cotton filling, back-lined with flannel and quilted in 4" squares using nylon thread. Available with 3 locking straps if desired. Well suited for use in schools, churches, theaters, studios, or anywhere where maximum protection is needed. 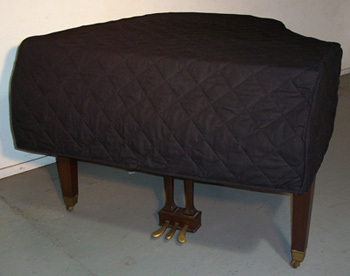 This is the right cover for instruments that are moved often, may be pushed against a wall, have chairs, other furniture or items stacked or leaned on them, etc. Also ideal protection where pianos are subject to heavy sunlight. Made in the USA by Paul Jansen & Son, designed using only the finest of materials. *CAREFULLY MEASURE THE LENGTH OF YOUR GRAND PIANO. 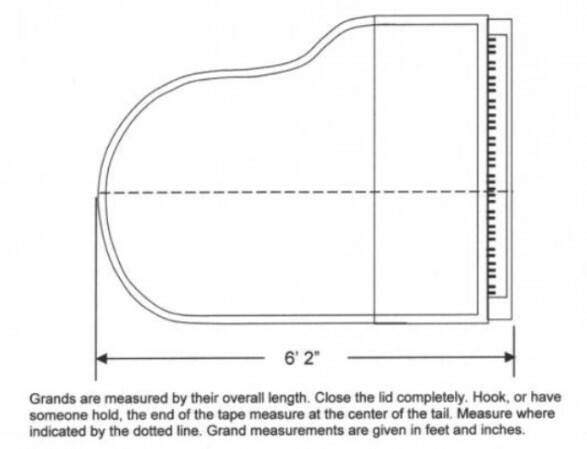 WITH BOTH THE TOP LID AND KEY LID CLOSED, MEASURE FROM THE VERY FRONT EDGE OF THE KEYBOARD LID TO THE TAIL END OF THE PIANO.